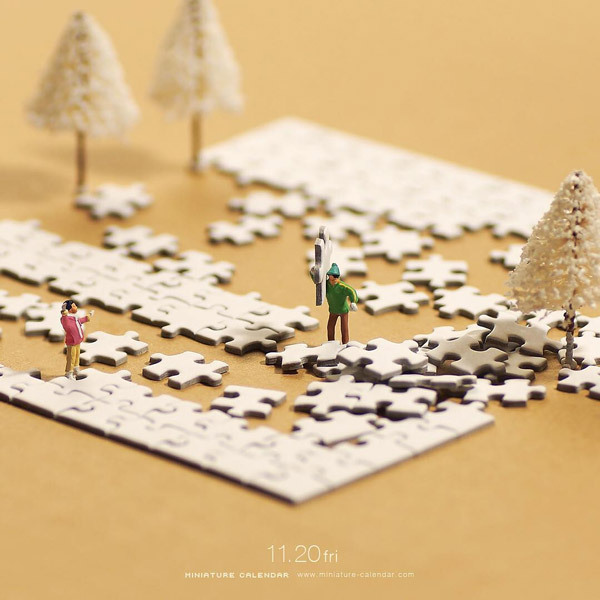 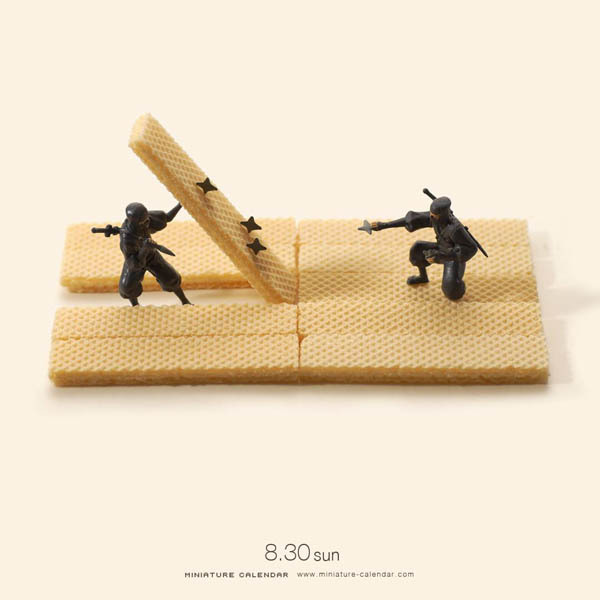 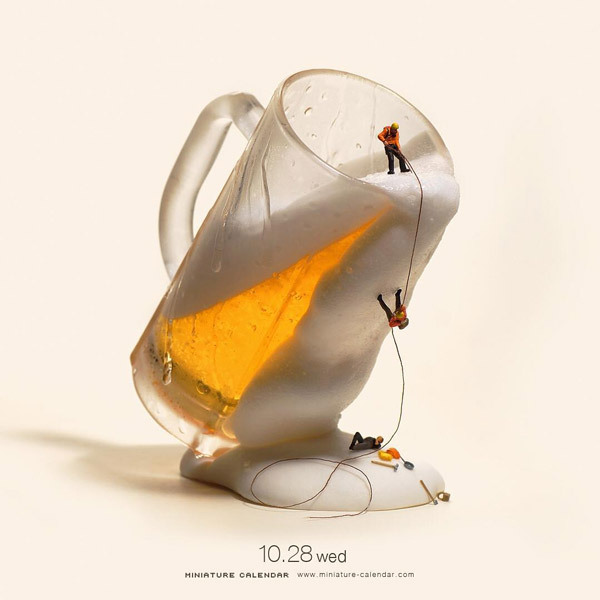 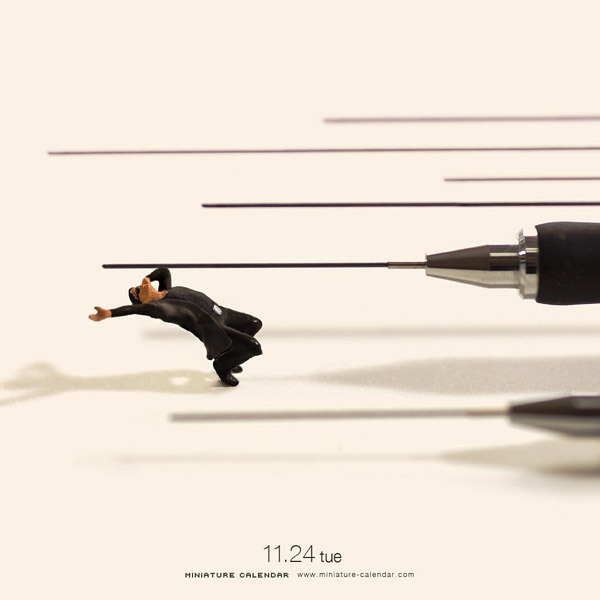 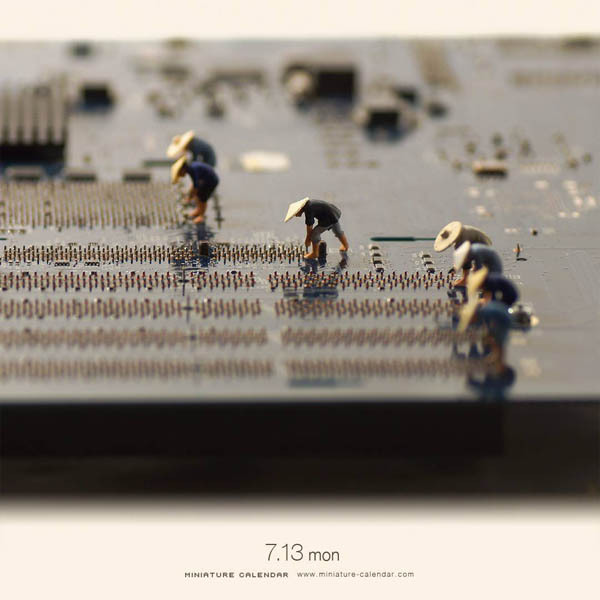 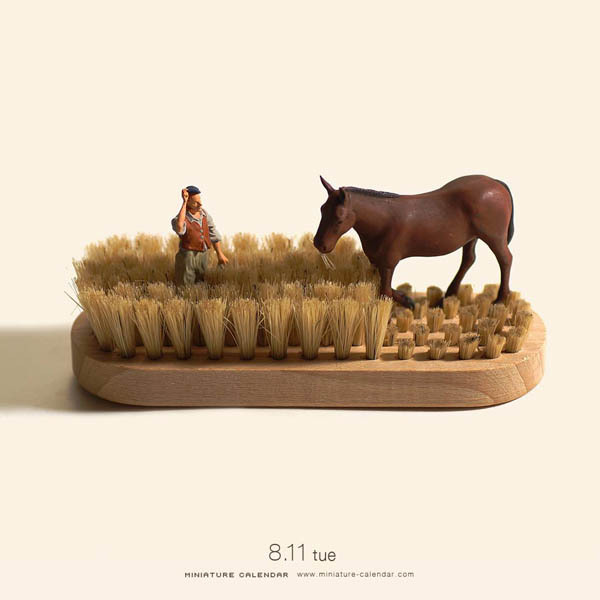 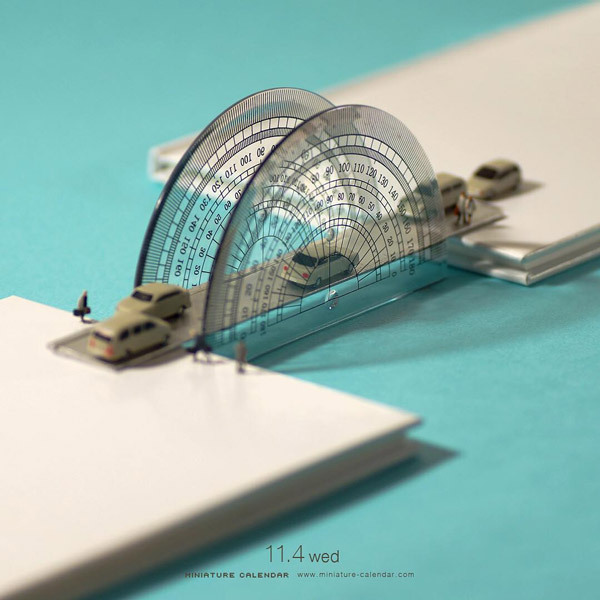 Photographer and art director Tatsuya Tanaka has a fascination with all things tiny and in his popular project “Miniature Calendar”, Tatsuya has been stretching his imagination to its limits and created lots of interesting scenes with his tiny people and everyday objects. 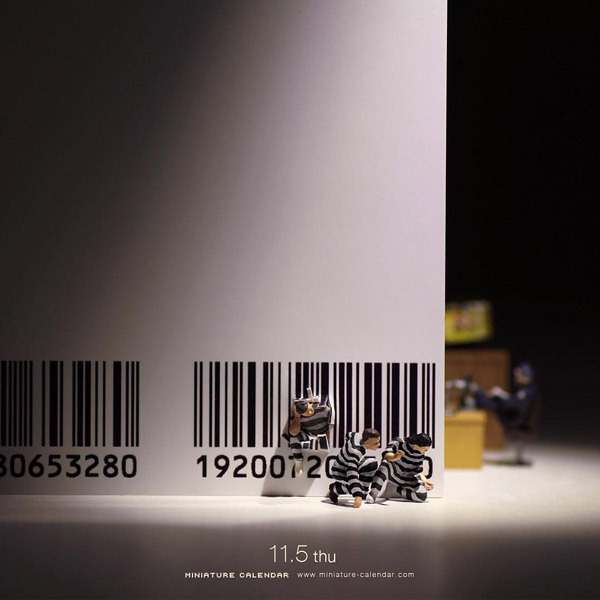 In his miniature world, barcode becomes jail, a circuit board becomes rice paddy field, brush becomes meadow and pencil lead becomes bullet track in Matrix. 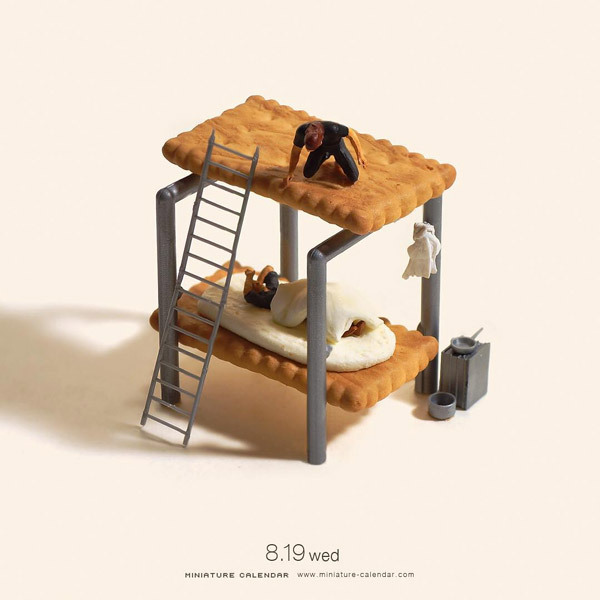 Those photos can easily invoke a smile or chuckle as you get the joke and meanwhile make you admire Tanaka’s breadth of creativity. 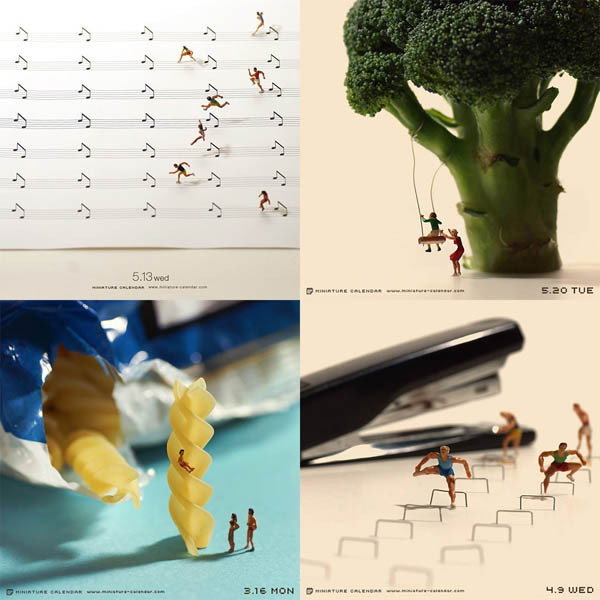 Below are some of your favorites and you can find more on Tanaka’s Instagram page. 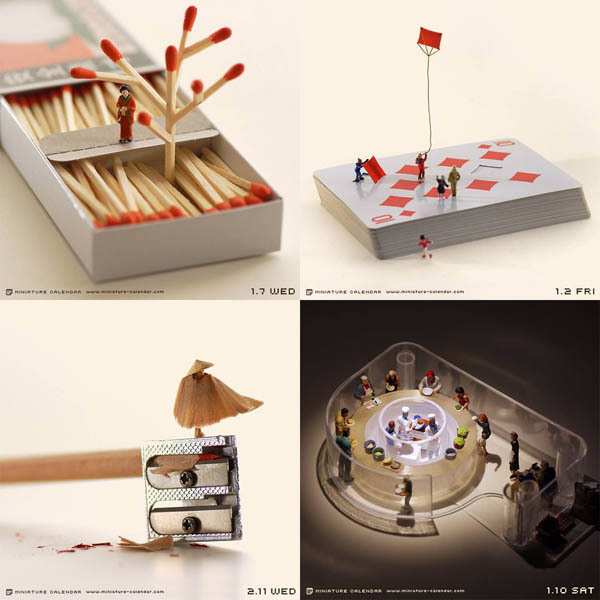 If you really like Tanaka’s work, you can buy Tanaka’s book “Miniature Life” from amazon.